Other recent writings have focused on intellectual property rights in data; the appropriate contractual regime for online delivery of computer programs and other information goods; and on the use of liability rules to stimulate investment in innovation. His most recent articles are: “The Globalization of Private Knowledge Goods and the Privatization of Global Public Goods” (co-authored with Keith Maskus), 7 Journal of International Economic Law 279-320 (2004); “A Contractually Reconstructed Research Commons for Scientific Data in a Highly Protectionist Intellectual Property Environment” (co-authored with Paul Uhlir), 66 Law and Contemporary Problems 315-462 (2003); and Using Liability Rules to Stimulate Local Innovation in Developing Countries: Application to Traditional Knowledge (with Tracy Lewis) in International Public Goods and Transfer of Technology Under a Globalized Intellectual Property Regime (2005). 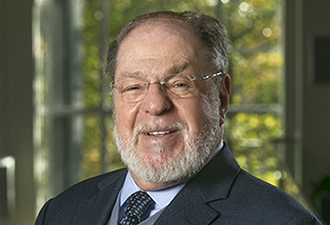 Professor Reichman serves as special advisor to the United States National Academies and the International Council for Science (ICSU) on the subject of legal protection for databases. He is a consultant to numerous intergovernmental and nongovernmental organizations; a member of the Board of Editors, Journal of International Economic Law; and on the Scientific Advisory Board of II Diritto di Autore (Rome).